This was such a lovely branding project to work on. All the things I love; hand lettering, botanical illustration and a pretty colour palette. This is a branding project I worked on with dietitian and whole food expert, Vanessa Clarkson. Thanks to the internet we where able to work together from the opposite sides of the world. How amazing is that! I love the colour palette on this one, it gives all the feels we wanted; nurturing, organic, warm and expert. Scroll down to see the original concepts. Fresh and contemporary logo design for the inspiring From Britain with Love. FBWL champion British makers, artisans and course providers through their online directory and blog. I had the pleasure of working with Laura last year to create this primary logo and submark. A hand lettered and sans serif logo for US based professional organiser - A Peaceful Home. Although this logo looks simple there was a lot of concepts and iterations to get the right look and feel. Some of the original logo concepts. As you can see they're quite different to what we ended up with but it's all part of the process to get to the the final design. 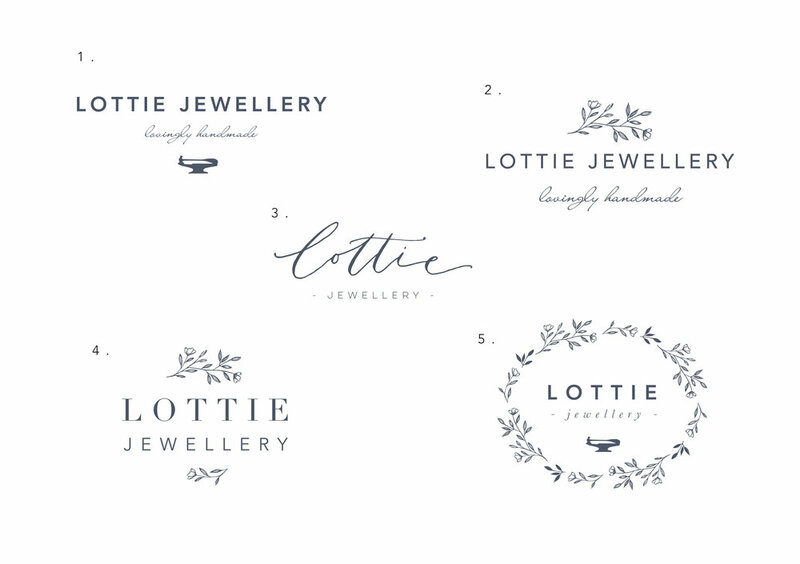 I was made up when Jewellery designer and maker, Lottie asked me to work on a logo for her business. As a third generation jeweller, quality and creativity are key attributes to this brand. Here is the brand board showing the final logo and the moodboard/colour palette that inspired the design. Scroll down to see the original design concepts. Aura Botanicals is a natural and organic brand that specialises in products that bring balance into peoples lives through the energetic properties and healing power of plants. Loved working on this one! 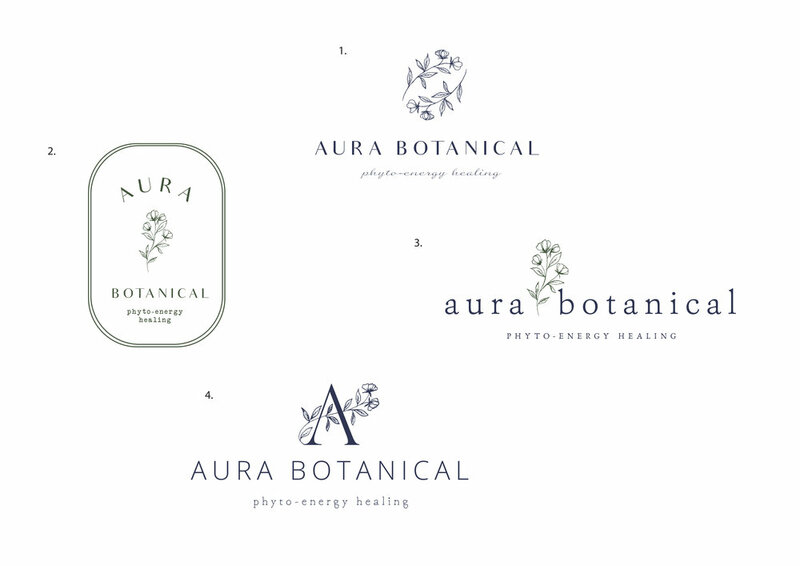 These are the original logo concepts designed for Aura Botanical. This was a fun project to work on. I illustrated the house using the original graphic logo as reference to give a more relaxed sketched look to match my botanicals. This music school is based in the Netherlands - I love how I get to connect with people from all over the world. The logo concepts - sometimes I get it right first time with minimal changes. Beautiful minimalist typography logo for the inspirational brand, Crochet Artisan. I love the subtle crochet hook I illustrated for the submark. 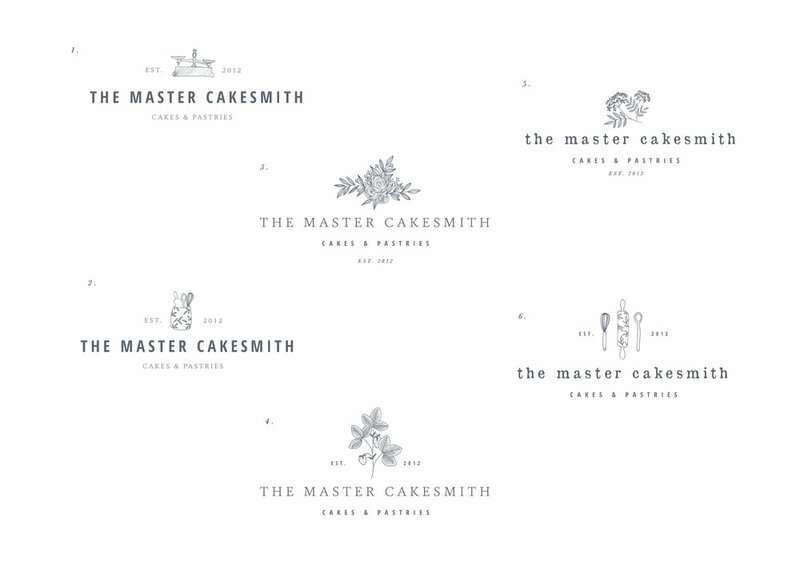 Here's a little peek at some of the logo concepts created for this super stylish brand. The Master Cakesmith is run by artisan baker and pastry chef, Dawn, who bakes the most amazing cakes. They are truly works of art. For beautiful cake inspiration your really need to follow her on Instagram. I was honoured to have been asked to work on this rebrand for her. Concepts I created for the primary logo before finalising the finished design. I created this branding for Elisa who is a talented designer and maker of bridal hair accessories and jewellery based in Italy. The brief for the Elibre visual identity was feminine, romantic, delicate, with a touch of boho-chic. I created a hand-lettered and illustrated logo with a soft colour palette. Here's a sneak peek at the first set of concepts I designed for Elibre. Once the primary logo was finalised I was then able to present ideas for the submark. You can see the chosen set of logos in the brand style guide at the top of this post. 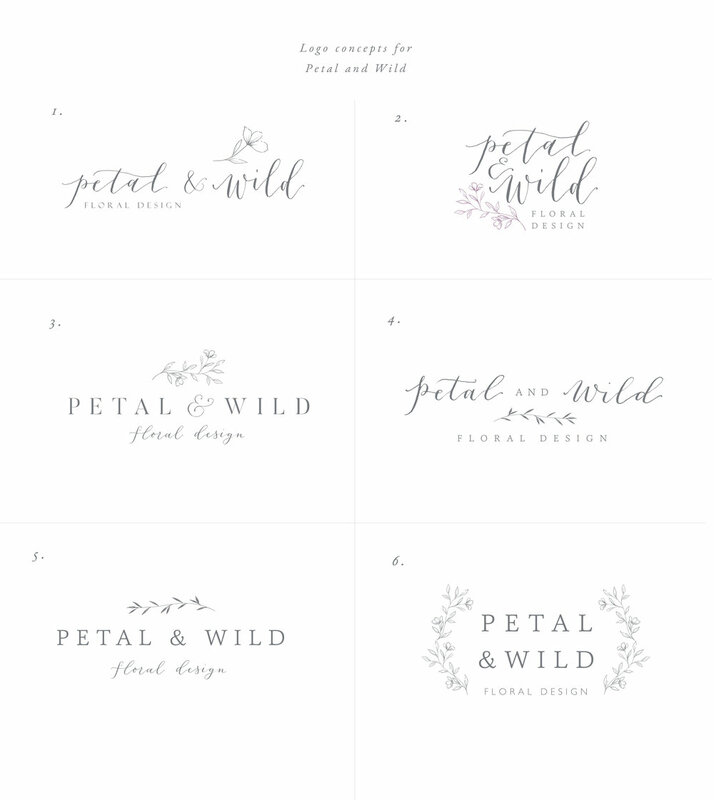 Hand lettered and illustrated logo for Petal and Wild, Floral Design. This logo is so pretty and feminine with its flowing letters and floral sketch. A joy to create! 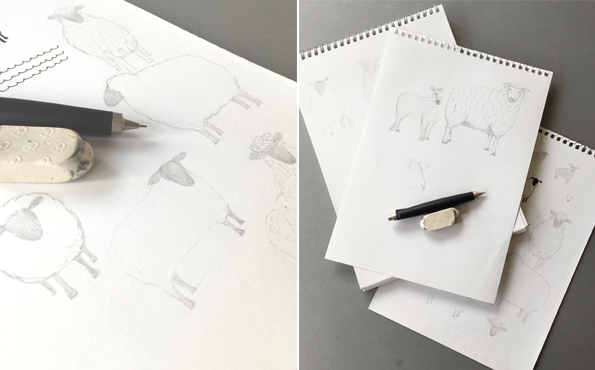 Scroll down to see a glimpse of the sketching section of the design process and the first concepts that were presented. I love this final logo design that I created for Hill View Farm. 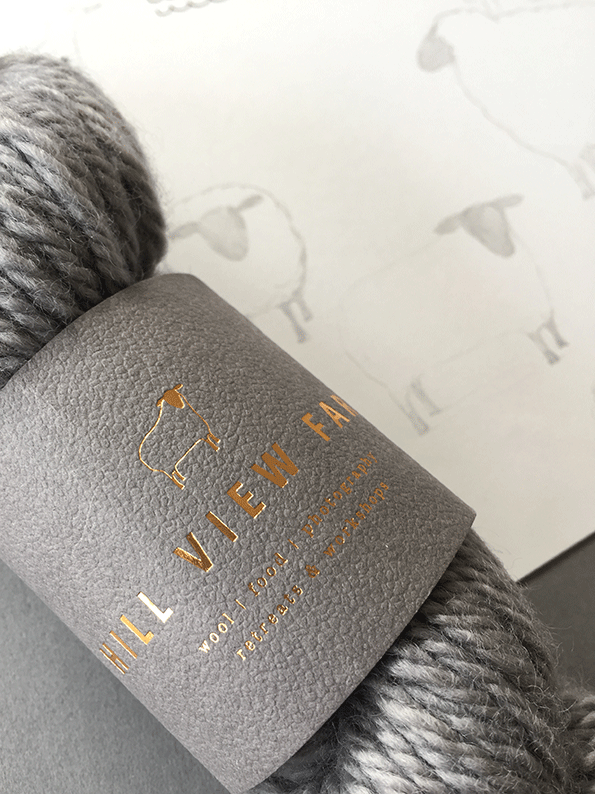 There's nothing better than seeing a design come to life on an actual product, especially when it's as beautiful as these foil printed bands wrapped around the softest yarn in the most scrummy colours. This logo also shows that simple is best, and getting things to look simple aren't always as simple as they look. This is a blog post I've been meaning to write for months. Where to start? Over a year ago I answered a call for submissions to Fiona Humberstone's latest book, Brand Brilliance. I very nearly didn't - I have this voice in my head that quite often likes to rein me in by telling me I'm not quite good enough yet. Close to the deadline I sent a selection of images that illustrate various points about branding - colour palettes, packaging, work in progress etc. Hoping that maybe one of my images would be used as an example for something, somewhere in the book. I received an exciting email back from Fiona's team saying my images were liked and they would try to work them into the book. I was trying not to get too excited and manage my expectations. So much so, that by the time I received the next email I would have been made up to have one of my images the size of a postage stamp - as long as I made it into the book I'd be ecstatic. When I opened the attachment to see I had a whole page to myself I wanted to scream with joy. However, I was sat in the middle of Nandos waiting for my husband to arrive for lunch, so had to scream a little inside! It was all I could do to stop myself telling the people on the next table. I eagerly awaited for the book to be published so I could share the news with the world. I finally got my hands on it back in May and it didn't disappoint. It's a beautiful book full of inspiring and useful content, gorgeous photography and amazing business advice. I feel very lucky and proud to have been featured in it. Fiona said some lovely things about my work in the book which is a huge boost. The thing is, if it wasn't for Fiona's previous book, How to Style Your Brand, I wouldn't have had a) the courage or confidence to submit my work, and b) the knowledge of how to make my brand appealing enough to be book-worthy. I've already started to implement some of the ideas from this book, and I'm excited to see how my brand and business develop as a result. Snapdragon Edinburgh is a creative florist shop that wanted some help bringing their logo up to date. Cathie and her team liked the font of the existing logo and wanted to incorporate a botanical illustration. Original logo on the left new logo on the right. There were a few concept designs and tweaks before we landed on the final logo. 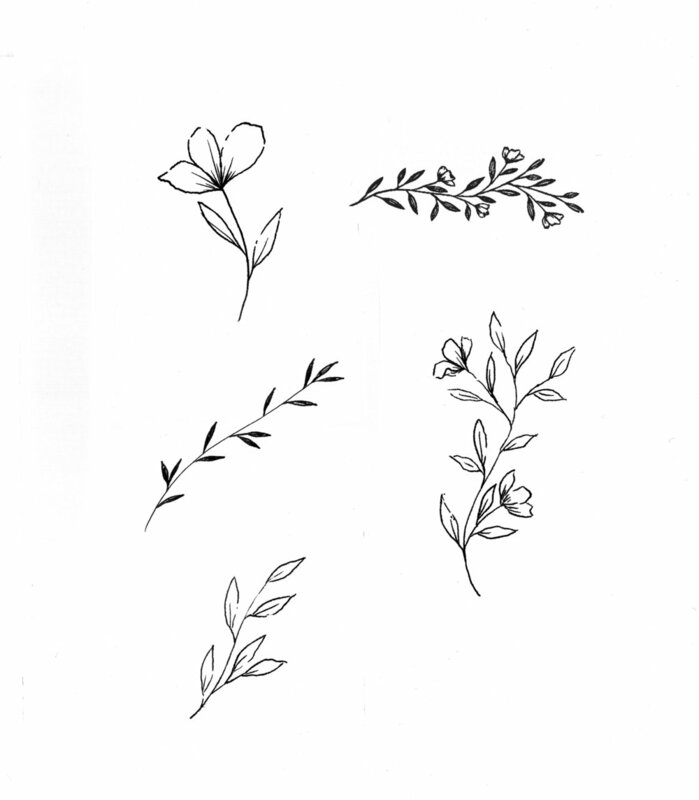 I also got to create botanical illustrations to be used on florist message cards. I loved doing these! 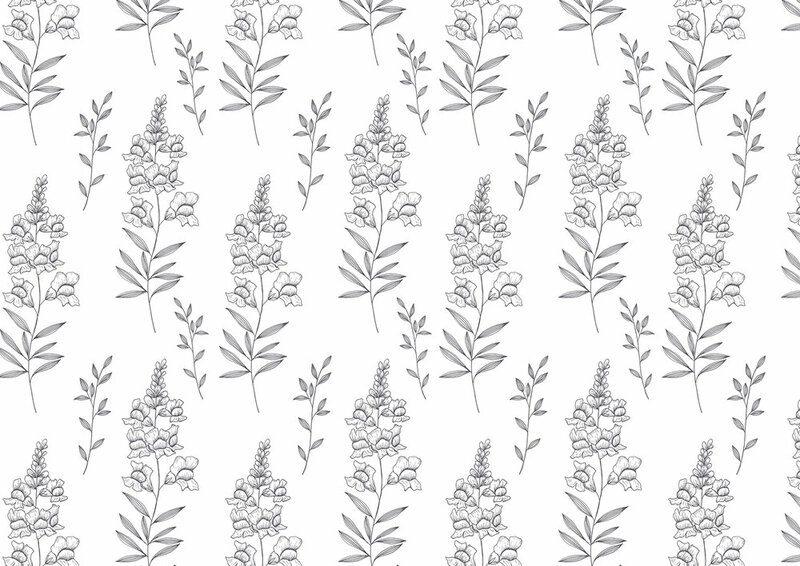 I then turned these illustrations into repeating patterns to be used on stationery. Maidenhair fern, elderberry, peony and snapdragon. If you'd like to see more examples of my logo designs please click here. I adore working on branding for small creative businesses and thought I should share a few. This one is from the end of last year for Louise, a wedding planner, from Kent. Louise wanted an elegant and pretty look with a relaxed feeling for Bow Occasions. I mixed hand lettering and a beautiful serif font for the primary logo which was then reworked into secondary logos for use on social media. 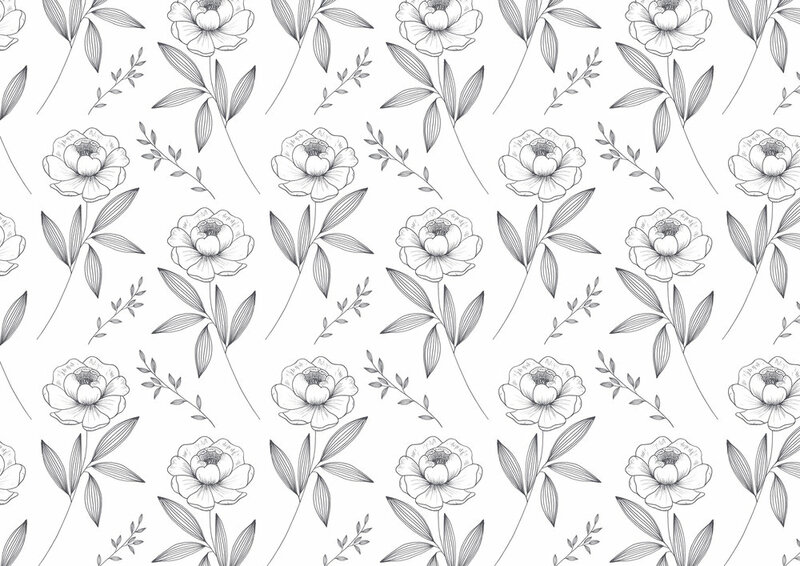 Illustrations and patterns were also created to complete the branding.